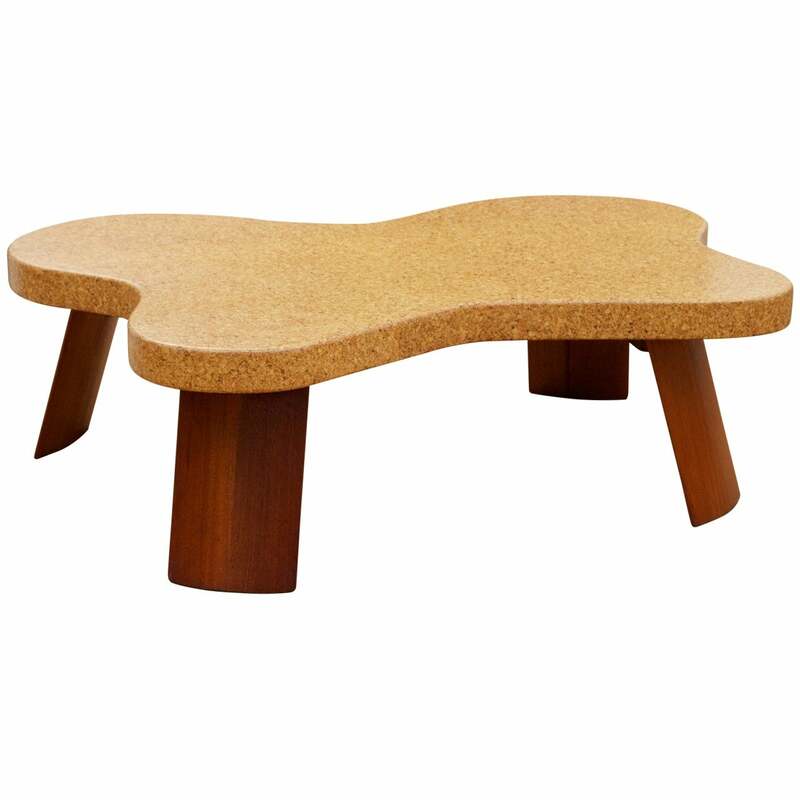 This Paris architect and designer Pierre Yovanovitch is hailed for his fearless re-imaginings of historic spaces, turning them into into crisp yet comfortable homes and, recently, a hotel, too. 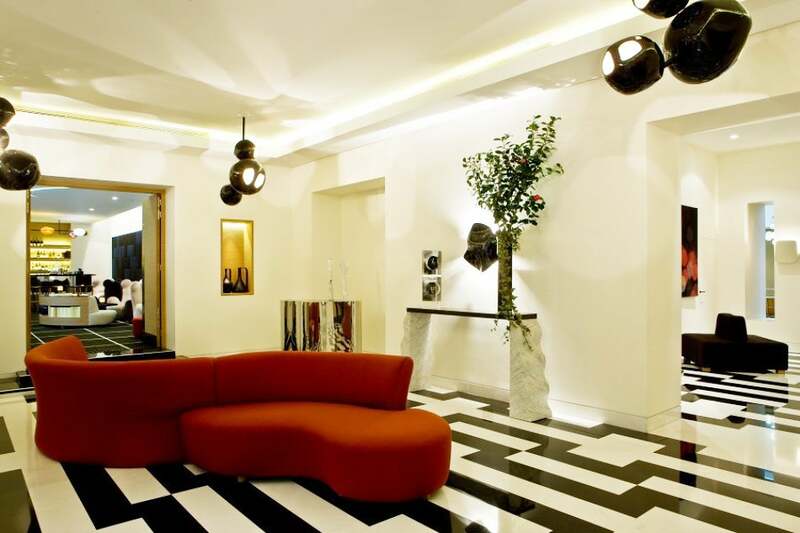 It’s my first hotel,” French interior architect Pierre Yovanovitch announces proudly when we meet at the Marignan Paris. 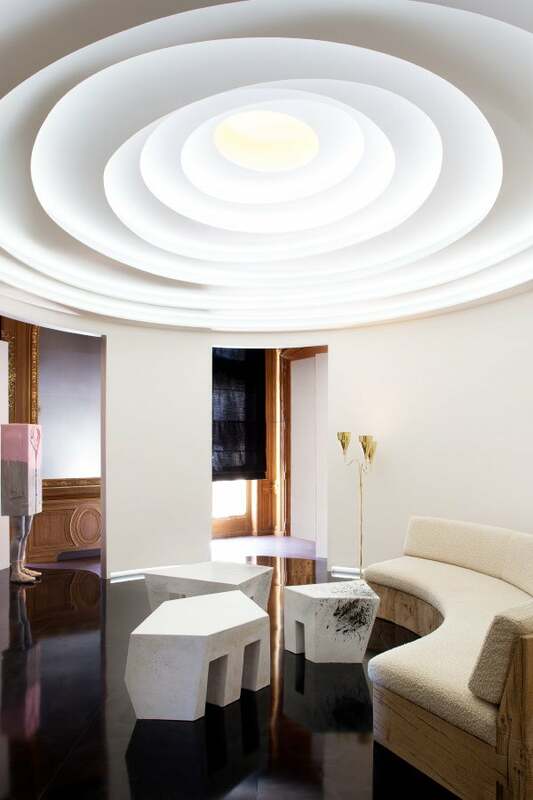 Dressed in a long-sleeved white shirt and khakis and exuding a soft-spoken charm, the 47-year-old designer recounts how he recently transformed the previously banal hostelry into a sophisticated 50-room, Art Deco-and-modernist-inspired destination that lives up to its Golden Triangle setting between the Champs-Elysées and the avenue Matignon. That makes sense since Yovanovitch is best known for his dazzling residential projects, including his own knockout homes in Paris (which have been featured in Architectural Digest and the New York Times’s T, among other magazines) and in the Haut-Var region of Provence, where he has masterminded a subtle update of a 17th-century château. 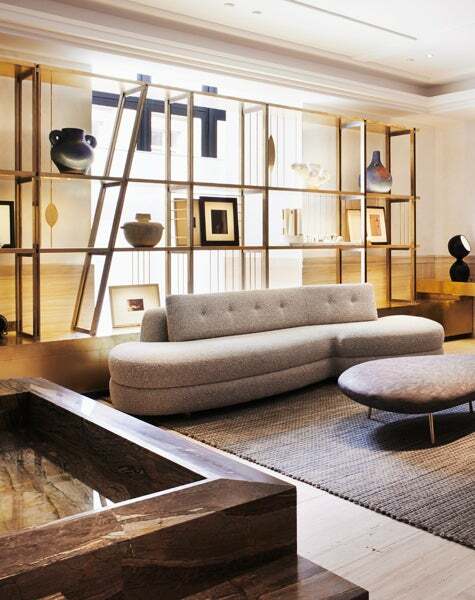 In the lobby of the Hotel Marignan, in Paris, Yovanovitch paired a red serpentine sofa he designed with marble-and-granite consoles by Ettore Sottsass. Photos © Lux Productions unless otherwise noted. 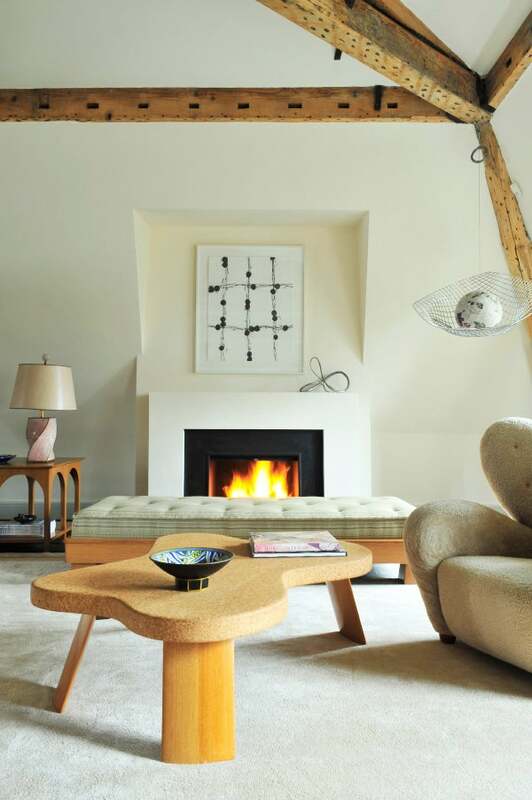 In the designer’s former Paris apartment, the suspended sculpture made from a Bertoia wire fragment is by the French artist Frank Scurti, the 1930s wing chair by Danish designer Flemming Lassen, the table by Paul Frankl and the daybed by James Mont. On this recent afternoon at the Marignan’s bar, we settle into curvy and comfortable off-white banquettes whose backs are formed by well-stocked pale-oak bookcases. 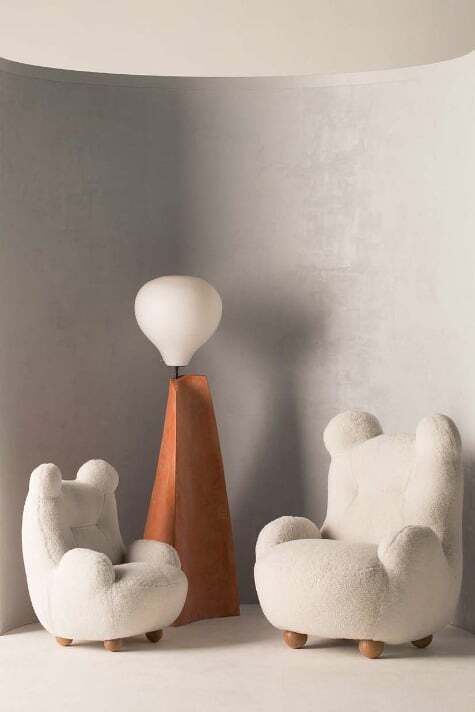 Sprinkled around the room are the designer’s extra-large Ourson (“bear cub” in English) wing chairs, each of which look ready to enfold a sitter in a giant hug. The cozy overall atmosphere makes for easy conversation as we whiz through images of his numerous recent projects on an iPad. His office currently has in the works 26 commissions, including a stately 27,000-square-foot town house on the Esplanade des Invalides, a splendid apartment overlooking Central Park in Manhattan, a resort in the Alpine village of Zermatt and a hotel on the Côte d’Azur. Yovanovitch has been a man on the move since he opened his Parisian architectural office more than a dozen years ago, and, today, he directs a team some 17 strong, including eight architects. “I have architects, not designers, working for me,” he stresses. “What interests me now is the interior architecture — to conceive the volumes and proportions. 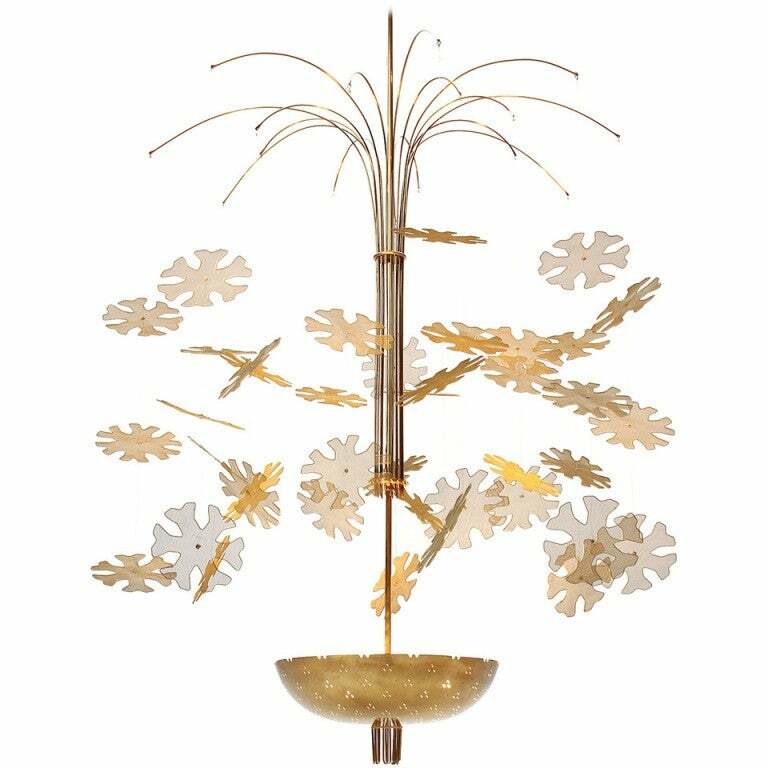 Then, the décor comes easily.” He has been especially hailed for his fearless restructuring of vast centuries-old spaces into resplendently clean private demeures. His goal: Preserving their historic spirit by seamlessly integrating the requirements of a contemporary lifestyle. A prime example is his own country escape, a turreted Provençal château that he rescued from ruin. “In the seventeenth century, they dared everything,” says Yovanovitch. “Its clean and simple architecture is still very modern today.” This stately simplicity struck a chord with the designer whose modernist heroes include French 1930s practitioners Pierre Chareau, Robert Mallet-Stevens and Paul Dupré-Lafon as well as today’s archi-purist John Pawson. 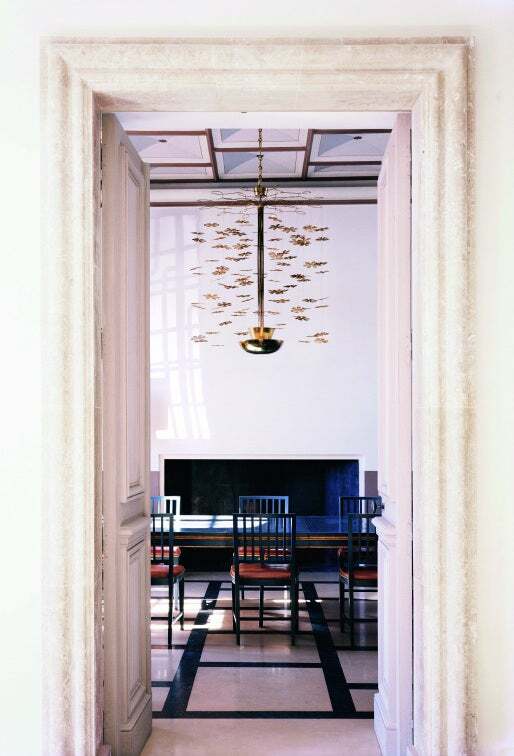 In the dining room of Yovanovitch’s 17th-century château in the South of France, Paavo Tynell’s Snowflake chandelier twinkles over a 1923 blue-lacquer table and chairs by Christen Emanuel and Kjaer Monbergis. Innovative lighting plays a key role in all Yovanovitch’s projects. He imagines alabaster clouds, luminous cornices and illuminated curves sliced into a ceiling like the rims of a crescent moon, or caisson skylights framing a blue sky when natural light floods in. Last, but not least, fine art is a given; he works with many art collectors and is a contemporary art and photo aficionado himself. It’s surprising to learn that the supremely accomplished Yovanovitch is a design autodidact. Born in Nice to an industrialist Yugoslavian father and a French mother, he studied piano at a conservatory for seven years, went to business school, then took a job in fashion, spending eight years designing ready-to-wear for Pierre Cardin. Doing up his own apartment, then his friends’ places, snowballed into a new profession. 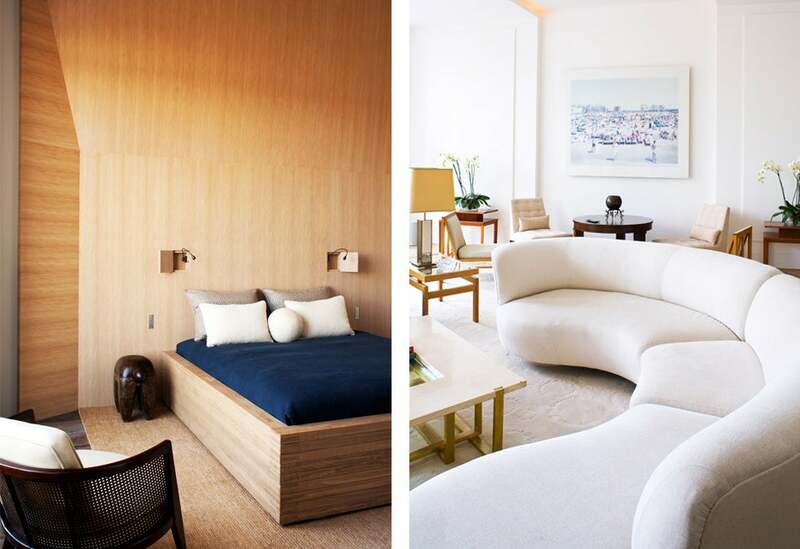 Left: Yovanovitch’s bedroom in his current Paris apartment is clad in walls of sandblasted oak. 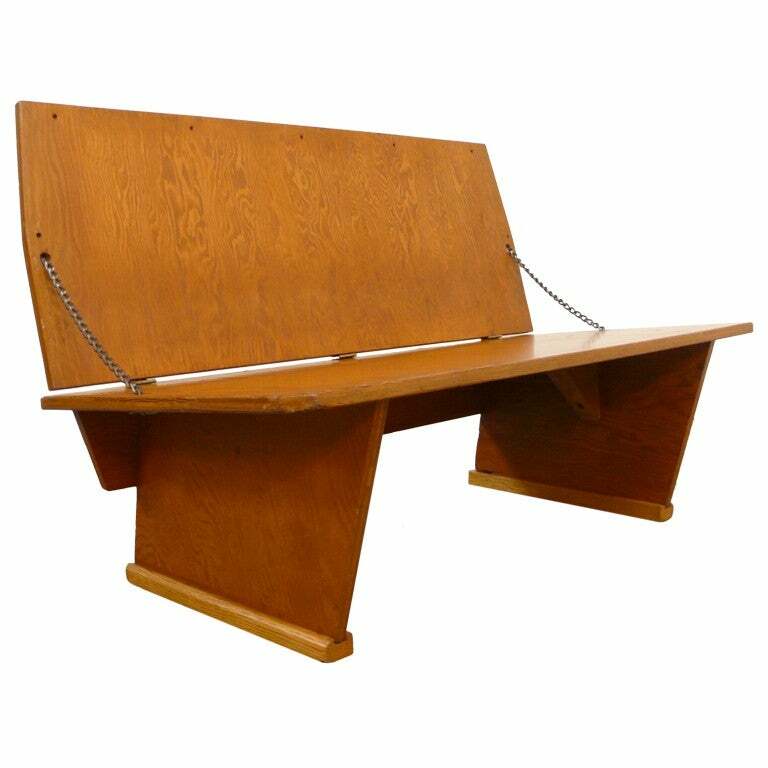 He designed the oak bed and concrete bedside table, while the Toccami reading lights are by Viabizzuno and the 1960s armchair by Harvey Probber. Right: Vladimir Kagan’s swooping sofa dominates a living room overlooking the Seine, in Paris. 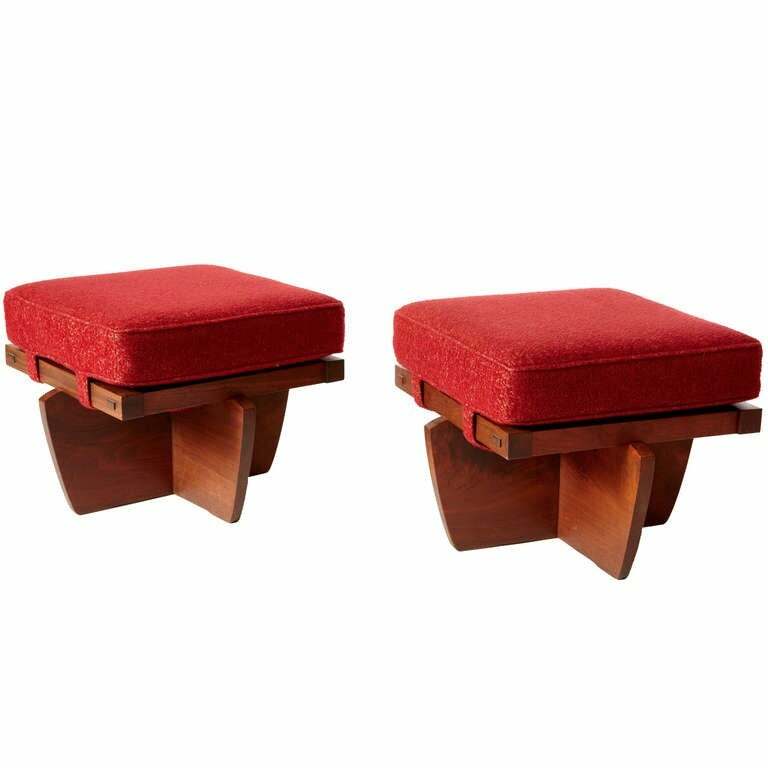 A pair of Edward Wormley 1950s armchairs flank an Art Deco–era table beneath a Massimo Vitali photo. With a luminous sculpted ceiling, mirrored metal floors and a Paavo Tynell standing lamp, Yovanovitch’s Circular Pavilion for a 2012 French AD installation invites meditation. 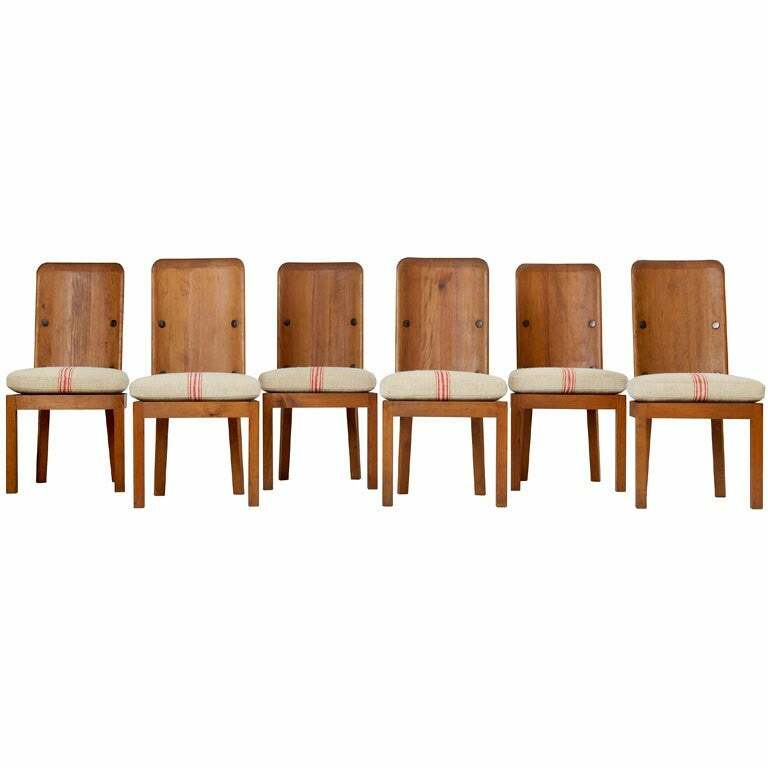 An early fan of his talent was Tiffany’s design director emeritus John Loring, a longtime friend of Yovanovitch who asked the designer to collaborate with him on his Palm Beach home, one of his first big projects. 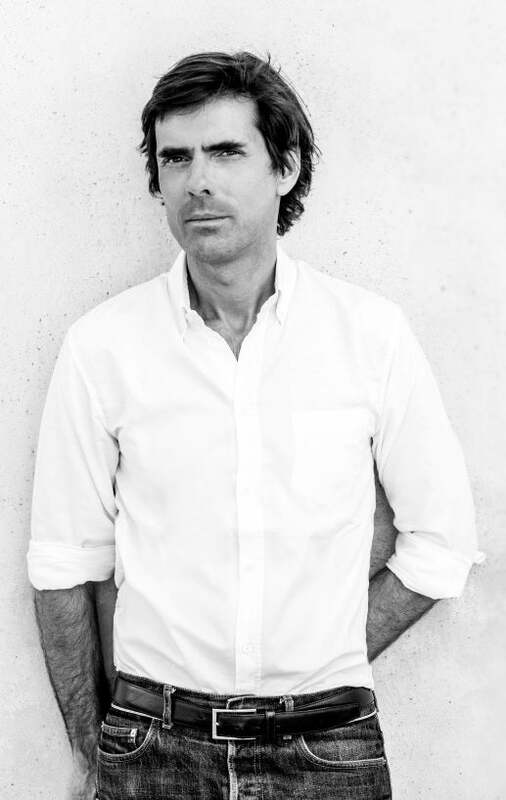 That and his exceptional French projects landed him on Architectural Digest’s New AD 100 in 2010. At home, French AD recently dubbed him one of the “Masters of the Dreamworld,” and Yovanovitch’s marvelous Parisian apartments live up to the appellation. As for the high-flying clients of these striking spaces, discretion is his credo. The only project he will identify by name is the waiting room at the headquarters of Artemis, the French luxury goods holding company owned by François Pinault. Yovanovitch’s artful geometric treatments of grand entrance halls, staircases, floors and ceilings are especially stunning. Take the swooping “ribbon” staircase of white gypsum on metal with pale oak steps that spirals down a five-level atrium of a town house near the Eiffel Tower. It isn’t just sculptural; it is sculpture. He is equally adept with simpler spaces, like the attic atop a landmark 1672 Faubourg Saint Germain hôtel particulier that he converted into a luminous “rustique chic” loft. The design is pied-à-terre perfection: Cool cream walls, a cream sofa with basketball-sized spherical cushions, a curvy wing chair by 1930s Danish designer Flemming Lassen and the scalloped contours of Axel Einar Hjort’s sanded-oak sofa play foil to the straight lines of warm oak beams that crisscross the ceiling. On the room’s other side, beautifully bound editions — from Proust to Hemingway — fill a bookcase, while on the walls a photograph by American artist Sam Samore shares honors with French contemporary artist Franck Scurti’s suspended sculpture of a ball in a Bertoia wire chair fragment. 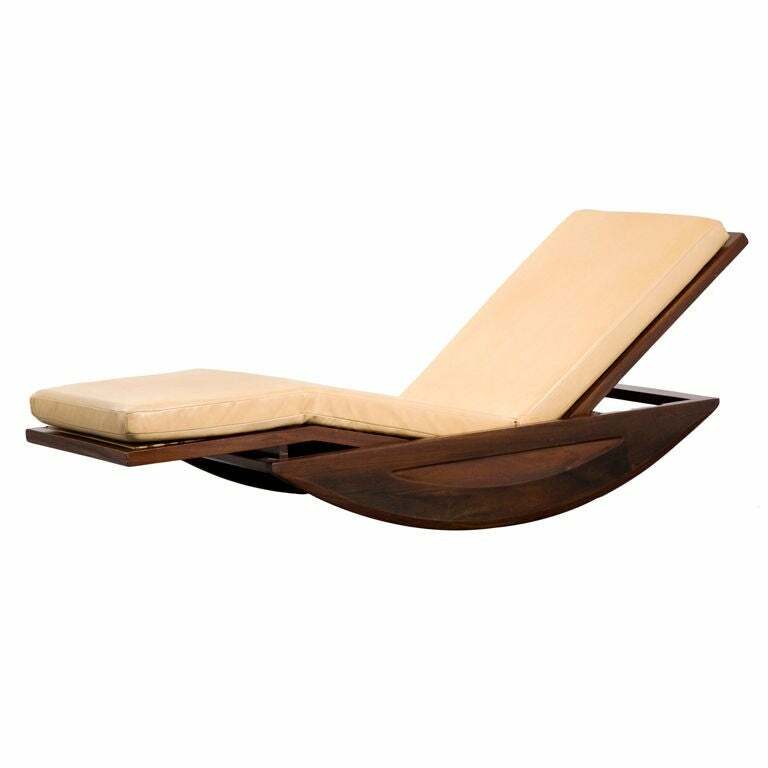 The Scurti hangs near a James Mont daybed, which is flanked by a Paul Frankl coffee table. Haute bohème indeed. The Parisian interior architect is taking on the role of curator in a show featuring his new furniture and lighting pieces. Organized by AD France editor in chief Marie Kalt, and now in its fifth year, this haute-decorating event and show house celebrates the crème de la crème of French interior designers. This year, the happening has taken over the Musée des Arts Décoratifs, with every room incorporating a priceless find from the museum’s own collections.